If you are a health care professional, you'll want to know what steps we take to protect the sensitive data you may choose to share with us, and how we use information you provide about yourself and your professional services. We have access to the following categories of information regarding you and your visit to our website. Only some of these categories of information identify you directly, but each category offers some information about your interests and activities that could be used to make inferences about you. The next section of this policy describes how Aristotle uses the information we collect. Site Registration: We have constructed this website so that you may visit us and review information about the services we offer without revealing your identity or volunteering any personally identifying information. If you register to use the website’s features and services, either as a consumer or a health care professional, we will collect "personally identifying information" from you. Personally identifying information is information such as name, address, telephone number, and e-mail address that could be used to contact you. When this information is combined with any information on your health or medical status (pursuant to all applicable laws), we refer to the resulting information as "health-related personal information." Interactive Services: If you choose to participate in our interactive services such as questionnaires and surveys, you may disclose health-related information as well as personal facts that could be used to identify you or your family members. Providers, who use our benchmarking services and quality of care assessments may, consistent with applicable law, choose to disclose facts about their practice and patients that are extremely sensitive, personal data. Aristotle does not request or require you to disclose personally identifying information in these forums, but apart from warning you to be prudent in your statements and to comply with applicable laws, we do not have the ability to keep you from disclosing private facts. Correspondence with Aristotle: You may use our site to ask questions or report problems regarding our services to healthcare professionals hired by Aristotle to address consumer’ and health care professionals’ questions regarding use of our services. If you communicate with or request information from our personnel, they will have your e-mail address as well as whatever health-related and/or personal facts you chose to include in your e-mail. Additionally, patients’ health-related personal information may be disclosed to Aristotle through healthcare providers’ submissions of patient information via “Contact Us,” “Ask Us,” and other e-mail comment and feedback functions provided throughout our websites. IP Address: We record the Internet Protocol (IP) address of your computer when you visit our site. Without more, the IP address does not identify you personally, but it is what allows us to maintain communications with you as you move about our site. Whether you are a consumer or a health care professional, we use the information about your use of the services and activities on our websites to monitor user traffic patterns and try to analyze what our users prefer so that we can design better services for you. The personally identifying information and health-related personal information that you provide may be used to create customized offers, information, and services tailored to your interests and preferences. Personally Identifying Information: You do not have to register to use some of the information and services available on our websites. If you choose to register, we will use the personally identifying information you give us to send you an e-mail confirming your registration with our site and to respond to questions from you. Upon your request, we may also, from time to time, send you e-mails with special promotions or newsletters with information that we think may be of interest to you. Health-Related Information: If you choose to participate in our interactive services, we will collect the information you may choose to disclose and analyze it to discover new facts that could help us better understand how our services are used. We may offer interactive services such as health questionnaires and care management tools that ask you to furnish health-related information about you or your family. The information you disclose and provide in interactive services may be linked (pursuant to all applicable laws) with the personally identifying information you may choose to provide elsewhere on our site to provide us with personally identifying information about your health and health care. We may combine your health-related information with that from other site users to create summary data that we will use for our business purposes, including research to improve and better market our services. IP Address: In addition to using the Internet Protocol (IP) address of your computer to maintain communications with you as you move about our site, we also may use your IP address to personalize content provided on the website. We retain IP addresses, and we retain them together with personally identifying information. Law Enforcement: In certain limited circumstances, Aristotle may be called upon to release your personal information in response to a court order, subpoena, search warrant, law, or regulation. We plan to cooperate in responding to such requests, taking appropriate measures to ensure that the requester understands the sensitive nature of the health-related personal information that they may receive. We also reserve the right to cooperate with law enforcement authorities in investigating and prosecuting users who violate our rules or engage in behavior that is illegal or harmful to other websites. · Vendors and Suppliers. We have relationships with different vendors and suppliers who help us design and maintain our systems and our computer security, respond to e-mail and customer inquiries, and create special promotions. We will not authorize our vendors and suppliers to use our customer information for any purpose not related to Aristotle’s operations. ·	Co-branded Sites. We may partner with other companies to provide you with content or services on a joint or "co-branded" basis. At a co-branded site you will see both the Aristotle logo and the logo of the co-branded partner displayed on your screen. To access the services available on a co-branded site, you may have to complete a new on-line registration form, and this registration information may be shared with Aristotle's co-branded partners. You should read the individual privacy policies of our co-branded partners, as these may differ in some respects from ours. Reading these policies will help you to make an informed decision about whether to provide your information to a given site. Remember, you may always opt-out of sharing your information with a partner site by choosing not to use the service or content provided by the co-branded site. 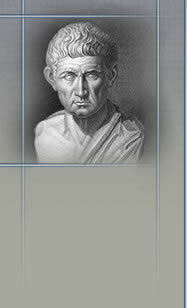 Aristotle's website content and services are intended for adult users over the age of 13. The site is not designed to attract child users. If we learn that an under-13 user has volunteered personal or health-related information on our site, we will delete such information from our active databases in accordance with our deletion policy, which is described in the section on Your Privacy Choices. When you access any interactive tool or service on the website, you will be asked to affirmatively choose ("opt-in") to provide the requested information. You may always choose not to provide the requested information. ·	Receive E-mail. When you register with our site, you will be given the option of requesting to receive e-mail with information that we think you might find useful, including promotions, announcements of new services and products, and newsletters on particular health topics. If you decide, at any later time that you no longer wish to receive these e-mails, you may unsubscribe to our e-mail list by sending an e-mail entitled Unsubscribe to info@aristotleinstitute.org. ·	Accept Cookies. Your browser software can be set to reject all cookies, but if you reject our cookies certain of the functions and conveniences of our site may not work properly. Cookies and similar technologies are how we ensure that we can promptly retrieve and deliver the information to you when you use our site. ·	Correct/Update Personal Information. You may correct or update the personal and/or health-related personal information you previously provided to the website at any time by sending an e-mail to info@aristotleinstitute.org. ·	Remove Personal Information. You may remove previously provided personal and/or health-related personal information at any time by sending an e-mail to info@aristotleinstitute.org. ·	Deletion Policy. The information that you provide Aristotle is stored in servers that are operated and maintained by Aristotle and third parties under contract with Aristotle. Aristotle site users should be aware that it is not technologically possible to remove from our servers each and every record of the information you have provided to Aristotle. The need to back-up our systems to protect information from inadvertent loss means that a copy of information about you or your health-related interests may exist in a non-erasable form that will be difficult or impossible for us to locate. Nevertheless, we promise that upon receiving your request, Aristotle will delete all personal and/or health-related personal information stored in the databases Aristotle actively uses for research and daily business activities, or stored in other readily searchable media. In addition, we will use commercially reasonable efforts not to disclose any personal information stored in a non-erasable format after receiving your request for removal, except as required by law. ·	Communicate with Aristotle by E-mail. At our website consumers and providers may communicate with our staff to learn more about our products and services. We also offer interactive tools that enable consumers and health care professionals to submit customized e-mail requests for information about diseases and therapies. Please be aware of the limits on the confidentiality of these e-mail communications. Aristotle will not disclose personally identifiable information that we receive in e-mail, but all e-mail transmissions are vulnerable to unauthorized interception. In addition, we remind you that e-mail sent or received through an employer's computer or computer system is not confidential and may be the legal property of the employer. We want your personal information to remain as secure as reasonably possible. Our success at improving our products and services depends upon your willingness to share information about your personal health and health care with our researchers. ·	Data Security. We use encryption practices to help ensure the integrity and privacy of some of the personal and health related personal information you provide to us. As an added security precaution, all personal and/or health related personal information is kept physically behind firewalls that meet or exceed industry and governmental standards to prevent intruders from gaining access. Although we will make reasonable efforts to protect personal and/or health-related personal information from loss, misuse, or alteration by third parties, you should be aware that there is always some risk that an unauthorized third party could intercept an Internet transmission, or that thieves will find a way to thwart our security systems.